This weeks Wicked Wednesdays picture is one from when H was younger, some of the hair styles he used to wake up with were incredible, I only wonder buy zithromax europe what he dreams about…. 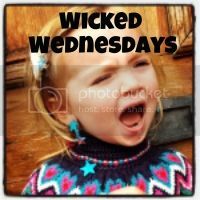 As always, I’m linking up with BrummyMummyof2 on her website, click the picture below to pop over to her and see some of the other amazing Wicked Wednesdays pictures. I love his hair! It could really catch on….. I dont know, that hair looks cool!